The Havanese, longhaired Dachshund, Schipperke and Bouvier des Flandres move on. Westminster week is underway with wagging tails, beautiful blowouts and purebred dogs galore at the prestigious 143rd annual Westminster Kennel Club Dog Show. (Sarah Stier/Getty Images) Beagles compete in Breed Judging during the 143rd Westminster Kennel Club Dog Show, Feb. 11, 2019 in New York City. 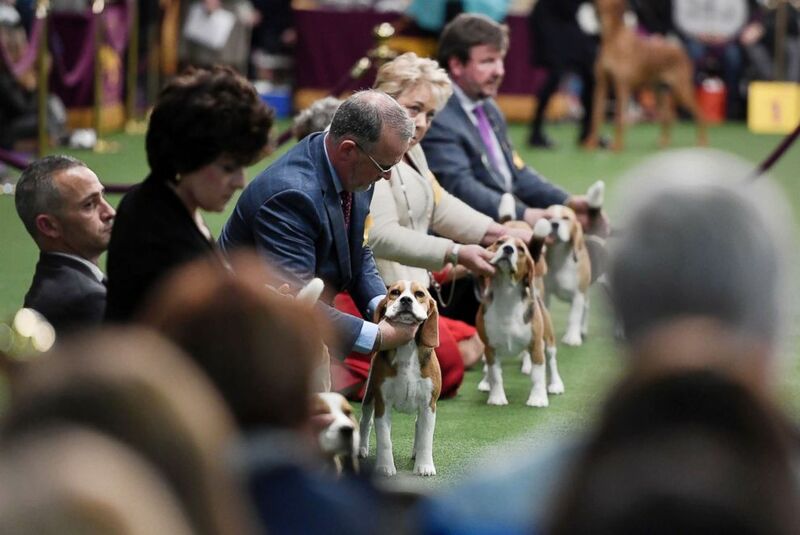 Night one showcased the best of the Hound, Toy, Non-Sporting, and Herding groups who took center stage Monday at New York City's Madison Square Garden. The fierce and fluffy pet competition was all business in the ring, but in the benching area backstage, groomers and handlers spent hours primping and prepping their pooches. Baby Lars the Bouvier des Flandres, the best of his breed, won the Herding group. Burns the seven-year-old Longhaired Dachshund snagged top prize in the Hound group. 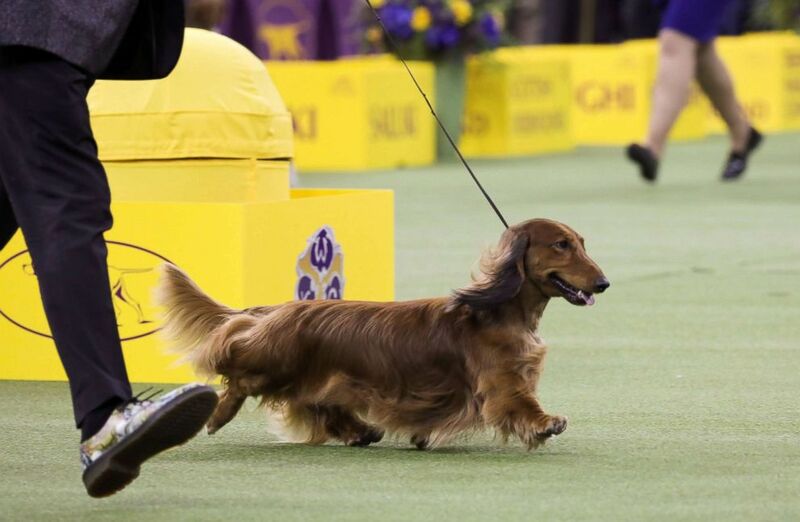 (Caitlin Ochs/Reuters) "Walmar-Solo's OMG" a longhaired Dachshund won first in the Hound Group at the 143rd Westminster Kennel Club Dog show at Madison Square Garden in New York, Feb. 11, 2019. Bono the white and grey Havanese took home the title for the Toy group. Colton the Schipperke beat out the French Bulldog for the non-sporting group win. Sporting, Working and Terrier breeds will be judged Tuesday and one of the seven winners will be named Best in Show at the end of the night. One lucky dog will unseat last year's winner Flynn the Bichon Frise. The Best in Show dog will appear live on "Good Morning America" Wednesday morning.